… have been linked tightly for more than 30 years. Already in the Nineties ALTAMIRA developed fully automated laboratory instruments for flow-chemisorption and temperature programmed reactions for the examination of catalysts like TPR, TPD, and TPO. 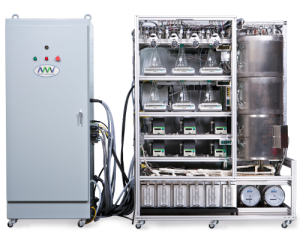 ALTAMIRA was founded by catalysis researchers and thus the analyzers have been (and still are) developed according to the demands of catalysis researchers, so they have been meeting the conditions of the industry from the very beginning. The reliability of ALTAMIRA instruments is clearly visible in the way that their analyzers are still in operation after more than 20 years. This is the reason why, to this day, we still receive requests for an AMI-90 or AMI-200, even though these analyzer versions are not produced any longer. By now, the AMI-300 is the flagship of ALTAMIRA instruments – the AMI-300 analyzer family serves as the basis for a series of analyzer versions. 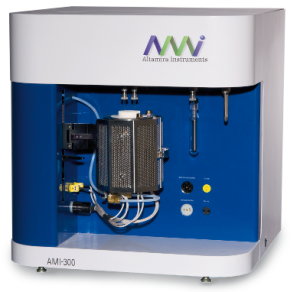 For example, the AMI-300 is available in standard and high pressure variants, with optional mass spectrometer, as AMI-300 IR with FTIR detector, or as sulfur resistant system AMI-300S. With the systems of the BENCHCAT reactor series, like the µBENCHCAT or the customer specified BENCHCAT installations, complex investigations of catalysts under different conditions are possible. 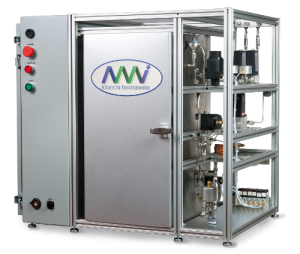 Further information is available not only on our website, but also directly from the manufacturer of these complex systems for the investigation of catalysts: www.altamirainstruments.com/systems. If you are interested or have further questions about this topic or Altamira Instruments, visit our booth at the upcoming NCCC XIX – The Netherlands’ Catalysis and Chemistry Conference in Noordwijkerhout/Netherlands in March 2019. Are you already interested in test or contract analysis of your own samples? We are looking forward to your call or e-mail. Do you like our News? The 3P INSTRUMENTS booth at POWTECH 2019 – a great success! We are an A supplier! 3P INSTRUMENTS wishes a great start into the new year, healthiness, and joint success in 2019! 3P INSTRUMENTS wishes Merry Christmas, happy holidays and a great start into the new year!